When hockey fans found out last year about about the league's inaugural Coors Light NHL Stadium Series, there was a lot of skepticism about the success of four additional outdoor games. Would it saturate the market, and would they even be able to sell out four stadium-sized games? National Hockey League fans quickly found out the strong demand for outdoor hockey, as the four games between the three cities of New York, Chicago and Los Angeles all sold out. The 220,000 tickets for the games meant more than $40 million in revenue according to SportsBusiness Journal/SportsBusiness Daily, leading the league to look for continued success in 2015. This is where Boston comes into the picture. According to the same report by SportsBusiness Journal/SportsBusiness Daily, a game at Gillette Stadium between the Boston Bruins and Montreal Canadiens has been discussed. Fortunately for Boston, the franchise has a lot of reasons to persuade the league to include them in next year's Stadium Series. First comes the demand. The Bruins currently have overwhelming demand, and a game such as Boston-Montreal would easily sell out 68,756-seat Gillette Stadium. As for the venue, it is perfectly suitable for hosting such an event, as the increased amount of media members could be accommodated well both at the stadium and at the hotel on the property. Renaissance Boston Patriot Place Hotel & Spa is conveniently located within walking distance from the stadium, which is not only ideal for the media, but also for fans traveling in who want to make a weekend-trip out of visiting Patriot Place. The lifestyle and entertainment center includes dinning, shopping, concerts and a movie theater, making it an ideal site for an event such as the Stadium Series. 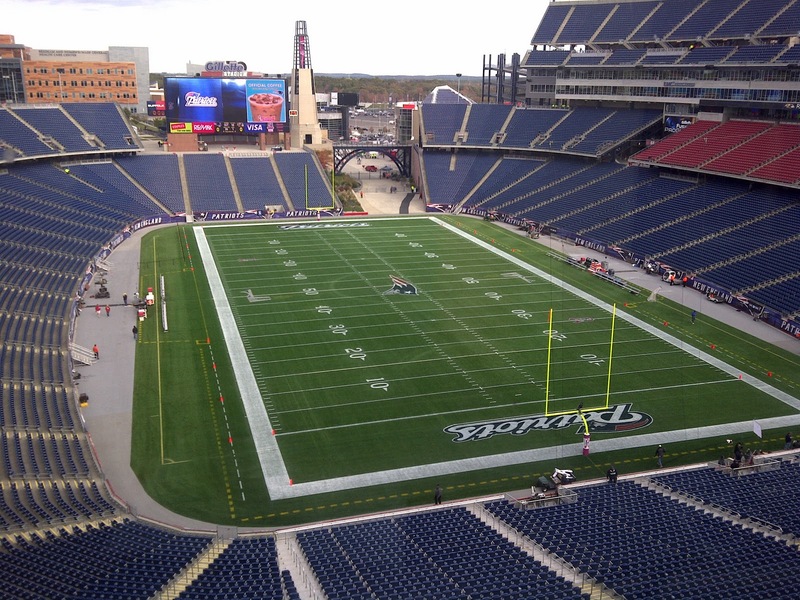 In addition to hospitality and entertainment options, Gillette Stadium can also be accessed by public transportation via MBTA Commuter Rail. 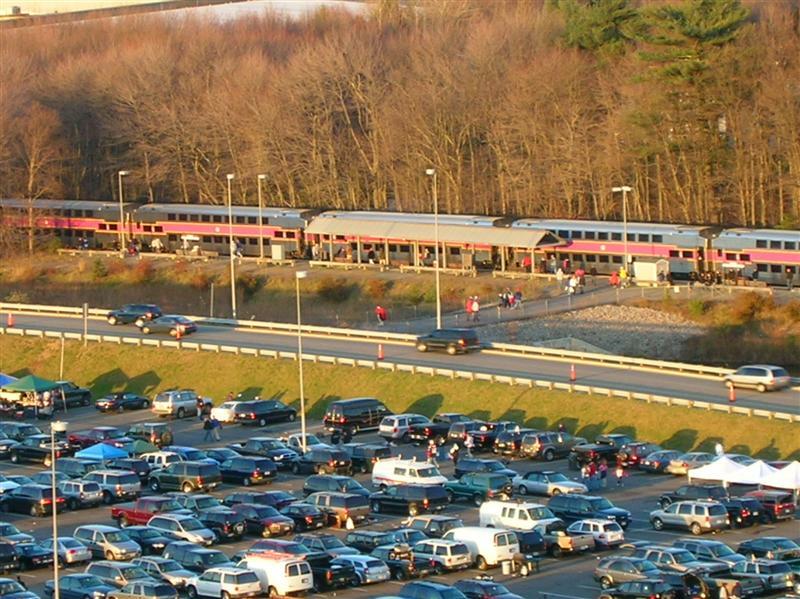 The MBTA has run special trains for years to the Foxboro Station during Patriots games. While the rail line is not part of any MBTA revenue service lines, the CSX-owned tracks can connect to MBTA's Franklin line to serve Boston's South Station, and also to MBTA's Providence/Stoughton line south to Providence. The MBTA has already announced continued service for the "Football Train" to Gillette Stadium for all Patriots home games in the fall of 2014. So could it really happen? All signs point to outdoor hockey finally coming to Foxborough. The site has the demand, the venue, and the accessibility of public transportation. Cross your fingers hockey fans, a Bruins-Canadiens game with 68,000 of your closest friends just might become a reality.